Ramón Luis Ayala Rodríguez, otherwise known as Daddy Yankee is the internationally recognised reggaeton rapper from Puerto Rica. 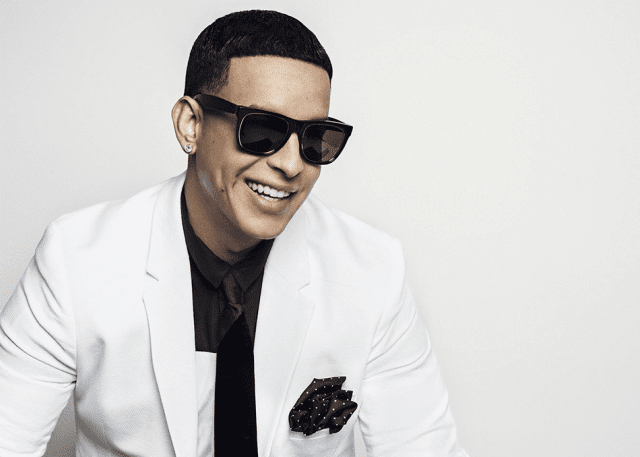 Meaning “powerful man” in his native language, Daddy Yankee is a stage name perfectly suited to the kind of stardom he’s enjoyed throughout his career. After fostering his rhyming skills at the age of 13, he became part of the underground rap scene in Puerto Rico. Just 8 years later, he established his own record label called, El Cartel Records. By 2004, Ramón Rodríguez emerged from the studio with an album that would become his first mainstream breakthrough – Barrio Fino. Carrying tracks like ‘Gasolina’, this LP is widely regarded as one of the best full-length albums ever created in this emerging genre. As a testament to Barrio Fino’s impact on popular culture, two years after its release Time Magazine listed Daddy Yankee as one of the top 100 “most influential people who are shaping the world”. Another of Ramón’s most significant musical milestones is his collaboration with Luis Fonsi on the track, ‘Despacito’. Now a track recognised by anyone across the world who’s ever been near a radio, ‘Despacito’ has made history as the most watched video on YouTube, ever. This is no mean feat, considering that today it boasts a staggering 5 billion hits and has topped the charts in nearly 50 different countries. With ‘Despacito’ now becoming the most streamed song in history and Daddy Yankee’s Spotify being crowned the most-streamed artist in 2017, he has grown into an artist who yields international demand.